When Should You Source an Expert for Your Blog Post? Posted on Friday, June 30th, 2017 at 5:30 am. If I’m not, how do I find the best source? When you’re dealing with a medical issue. When you’re writing about your own pet’s illness, you don’t necessarily need a source because you’re retelling a factual event. No one can agree or disagree with what happened because it happened personally to your family. However, you can strengthen an argument for a particular therapy or treatment by adding a quote from the veterinarian that helped your pet. If you’re situation is about an illness or condition when you aren’t retelling a personal story, always quote an expert. 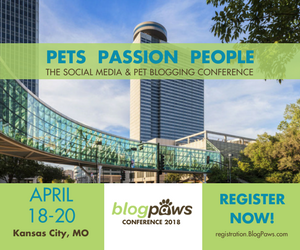 “If I’m writing anything related to pet health, I would interview an expert like a vet instead of relying on internet research or my own knowledge,” says Susan Johnston, a journalist who’s written for Upworthy.com, Fastcompany.com, and Usnews.com. You always want to make sure you’re providing your readers with the best information available. In part two next month, we’ll talk about how to find specialists. A statistic that can help your readers feel less alone in their situation. When you’re talking about a situation that feels rare or embarrassing, citing a statistic or study helps prove your case. It also lets readers know they’re not alone in their family’s situation. When I wrote a story on dog and cat obesity for Reuters.com, I included a statistic from Nationwide pet insurance that there were over 1.3 million medical claims related to pet obesity in one year. To show the cost impact, I mentioned both the cost in diet dog food and the average claim of $1,000 to treat diabetes, one of the most common obesity-related illnesses. I followed these claims with solutions for pet weight problems. Readers left the story feeling less alone and with treatment plans to consider. Statistics without actionable steps can make readers feel powerless. If you are a subject matter expert, you don’t necessarily need to source someone else. A subject matter expert is someone with clear knowledge in a particular field. For instance, I have three books that were picked as book of the month by The Washington Post on student loans. I don’t have to quote anyone on most student loan topics, but I still call the US Department of Education press office when a policy changes. You may decide not to call an expert if you’re a professional trainer for a behavioral issue in most cases, but you may decide to if it’s an issue you haven’t dealt with before. The bonus? If the trainer you call also blogs, they may use you as a source in an area they have less experience with. After all, blogging is all about building a community for your readers and your peers. Next month, we’ll continue this discussion and consider how to find sources. 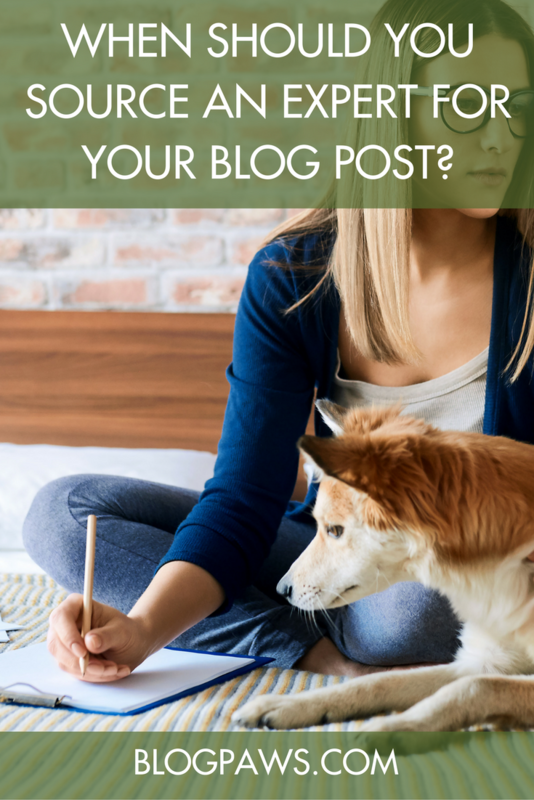 In the meantime, we’d love to know: Have you ever found a source for a blog post? When do you decide to use a source? And what questions do you have for part two next month? Reyna Gobel is Woof Woof’s proud dog parent and an award winning journalist and author. All three of her books were picked as financial book of the month by The Washington Post. She’s been published and quoted in dozens of national magazines including most US airline travel magazines. Her pet articles have appeared on CBS.com, in Modern Dog, and on Reuters.com. She co-writes the “Woof Woof Travels” column for petfriendlytravel.com. Woof Woof has been modeling, acting and reporting since he was 7 weeks old. She’ll announce Woof Woof’s upcoming website and new project in July.